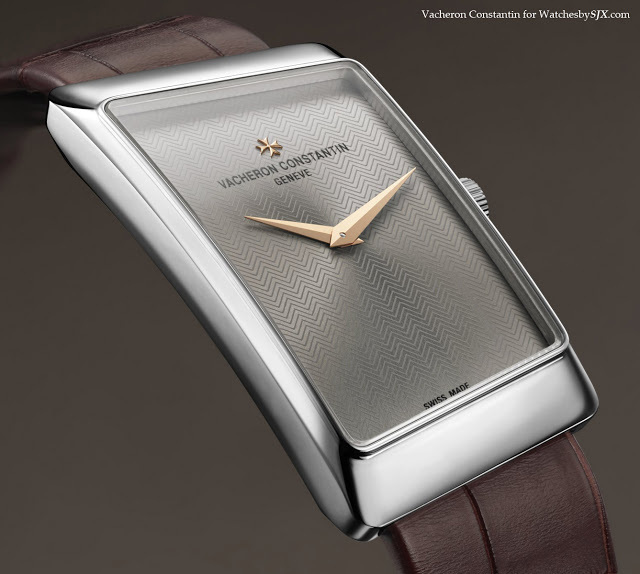 Vacheron Constantin recently announced the return of its asymmetrical 1972 Prestige to coincide with the opening of its boutique at 2 Rue de la Paix in Paris. Essentially a remake of the Prestige de la France, created to mark the occasion of VC receiving the eponymous award from the Comité de France in 1972. 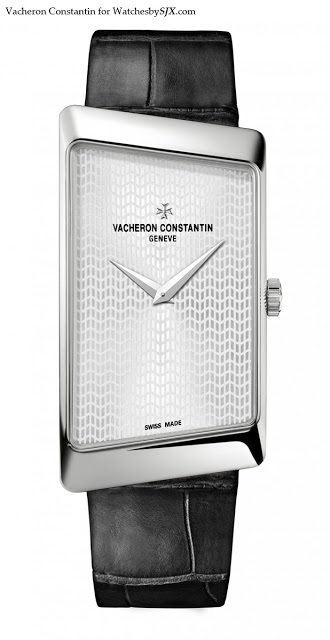 The new 1972 is naturally larger than the original; its white gold case measures 25 mm by 47 mm. And the dial is a pale grey with a herringbone pattern, paired with rose gold hands. I had the chance to see this in person at SIHH last year and it is a gorgeous timepiece, a formal dress watch with a twist. 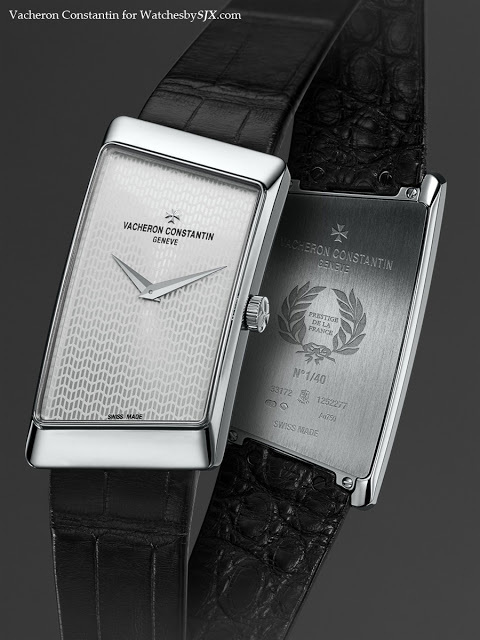 The herringbone motif on the dial is an especially beautiful detail. Inside is a movement that predates even the original 1972 – the ultra-thin cal. 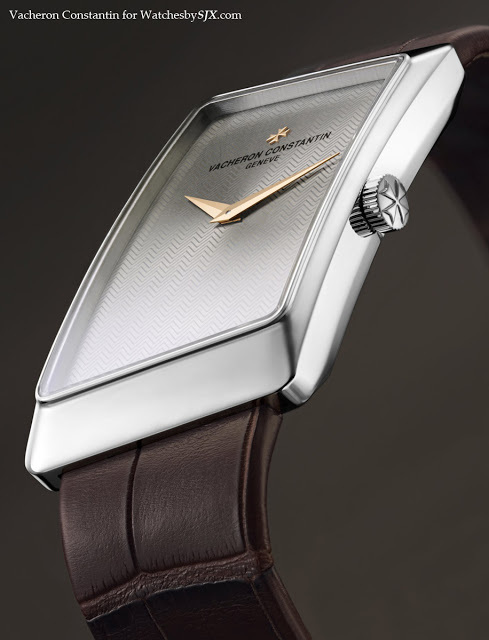 1003 was unveiled in 1955 and based on a Jaeger-LeCoultre ebauche. 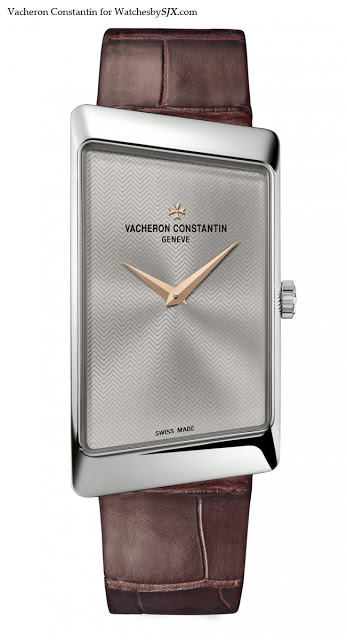 VC has upgraded the movement and it now sports solid gold bridges and the Geneva Seal.